After years of not releasing an original LP, Chan Marshall defies expectations and presses a great album. I don’t know where she’s been or what she’s up to- I’m not really the type to read about artist’s lives in Rolling Stone, but I am glad she’s back. 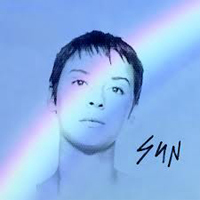 I’ve previously alluded to the possibility that I would like this release based on the single Ruin, and while this isn’t going to light the world on fire, it certainly is nice to once again be listening to some good Cat Power. The album opens strong with Cherokee, Sun, and Ruin- three tracks that are surprisingly upbeat and positive for the musician. The presence of percussion and electronic support are welcome and it’s clear that Cat Power is best with these elements. 1996’s What Would The Community Think made that clear long ago and it’s sometimes frustrating as a fan when Chan deviates from this style. The remainder of the album is perhaps not as strong and there are a mix of hits and misses depending where you fall on the fan spectrum. I personally enjoy most of it but the songs probably aren’t a good way to showcase the best of the band. Still, if you’re looking for a slightly modernized, optimistic version of Cat Power 3.0, it’s here for the taking.